An organization's vision and purpose is communicated from the top down. CEOs, Executive Directors and Leadership Teams are charged with motivating varying audiences to their goal or cause, e.g. invest, volunteer, give, attend, work with us. What's essential in effectively communicating a vision and purpose that includes both the logical--the head, and the emotional--the heart? Olivia Christian’s early professional career was dedicated to working with and on behalf of elected representatives that were committed to improving the lives of individuals and families living in the San Francisco Bay Area’s most vulnerable communities. In 2005 Olivia left city hall and began working as a brand development consultant. Her clients have included organizations providing access to life advancing services to the underserved and female entrepreneurs developing resources and opportunities that support the professional and personal growth of other women. 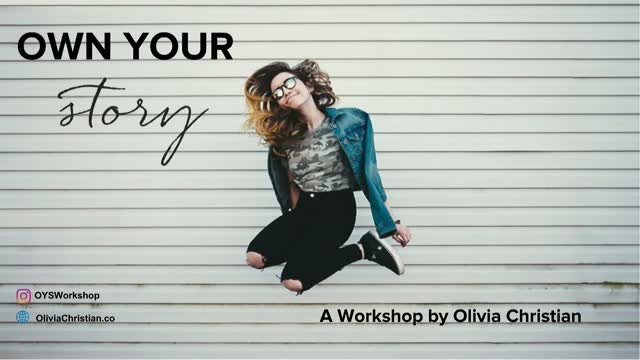 Through her workshop, OWN YOUR Story, Olivia coaches individuals and teams who want to effectively convey the why, how and what of their personal brand story for any given audience.